Most site owners are usually worried about their site rank and search for ways to ensure their website appears in the top rank of major search engines. It can get so complicated when one even tries to circumvent the natural process of using search engine optimization (SEO) to improve the site rank. Some websites have been blacklisted for trying to use such unethical SEO methods to get high page rankings. MOZ ranking algorithm has however tried to simplify the process of website ranking and lots of website owners have continued to deploy their platform over the years. Formerly known as SEOmoz, MOZ is an inbound marketing company based in Seattle, Washington, United States. The company was Co-founded by Gillian Muessig and Rand Fishkin in 2004, as a consulting firm. The company later transformed into an SEO software development firm in 2008. It is well known for its Search Engine Optimization tools and MOZ analytics tools which help to check competitive analysis for a keyword. What is Domain Authority Score (DA) A website Domain Authority (DA) is calculated based on the number of quality backlinks it contains. Domain Authority is usually used to measure the strength level of a website and it is a crucial factor in the Search Engine Optimization process. It is the calculated authority of the entire website. MOZ usually uses a scale of 1-100 to determine the DA ranking of a website. The higher the score, the better the ranking or potential of your website. The DA algorithm deployed by MOZ uses three key indicator- Age, popularity and size. What it means for example, is that a brand new website would have a DA ranking of 0, while an old and popular website can have a DA ranking of 70/100. It is usually calculated by MOZ using their complex algorithm. The Page Authority (PA) of a website is usually determined by the number of external backlinks. Not just an ordinary backlink, but one that is relevant to your niche and is quality enough to improve your SEEO ranking. A backlink by the way is a link that is inserted on your own website that attracts relevant traffic. The PA (MOZ Page Authority) of a website is the calculated authority of a website based on a scale of 1-100. The higher the score, the more the Page Authority of the website. The difference between PA and DA is that whereas the former is dealing specifically with just a page in the site, the later is dealing with the entire website. It is best to use PA and DA as comparative tools when doing research on SEO results and trying to determine which website may have more important link profile than others. They both play huge roles in ensure your website SEO ranking is high. What things are provided by the MOZ website? Fresh Web Explorer: This powerful tool provides real time keyword and mention tracking. All you need to do is input the keyword specifically connected to your niche market into the fresh web explorer field and it will come up with multiple keyword result related to what you want to look for. The advantage it gives is the fact that results are coming out real time. MOZ local: The MOZ Local is dedicated MOZ tool that helps local traders secure an online presence. It achieves this unique function by enabling the business owner to get listed online. It doesn’t end there, as the MOZ Local helps to ensure that the website listing is distributed across all major search engines. Followerwonk: it is more of a social media tool deployed by MOZ, to help build a large band of twitter follower to know their location and dig deep into analytics about how they are using your website. This feedback result helps the website owner to optimize for social growth. Rank Tracker: This powerful MOZ tool helps to retrieve your page and website SEO ranking across major search engines and automatically stores the results. The analysis of these results will help enhance your website SEO ranking at the long run. Open Site Explorer: It is a free tool that enables the user to use five free uses of keyword explorer in a day. What this means is that a website user can use this MOZ tool five times in a day to search for keyword freely. The premium version which goes for $149/month enables the user to access Open Site Explorer 5,000 times in a day. MOZ Pro: This is a premium-paid SEO web application designed by MOZ to help you to stay on top of the SEO ranking scheme. It provides analytics as well as insights to help the website owner boost his/her SEO ranking. MOZ Analytics: You can find the actual keywords that are driving organic traffic to your website by getting this MOZ analytics tool. It comes in both free and premium version and helps the website owner gets a firm grip with all the key indices that will help his SEO ranking. MOZBar: This is a popular chrome extension that was created by MOZ, for SEO optimization. It is available for free and helps to check backlinks and provide free information like Page Authority and Domain rank on search engine results page. How Does It Help Website Ranking? Google, the biggest and most popular search engine have their own system of ranking websites, which ultimately determines the website ranking. Some websites like www.fifa.com and www.facebook.com , attracts tons of traffic, while others struggle for SEO ranking based on their utilization of PA and DA. Sites that have high ranks also deploy keyword optimization and create their content to match these keyword which eventually speedy up their search in popular search engines like Google. Thus the higher your website MOZ PA and DA ranking and your keyword optimization, the higher would be your website ranking. 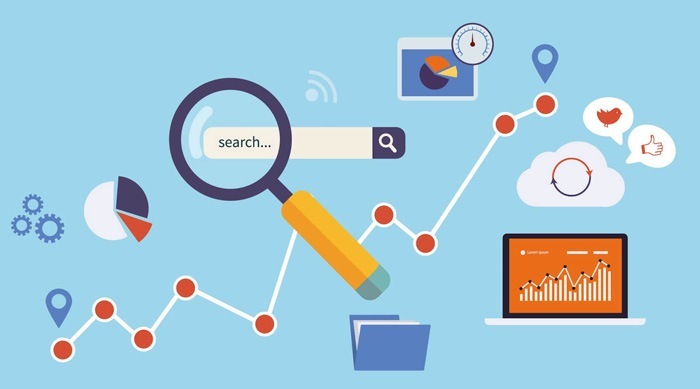 The ranking algorithm of most search engines are usually kept secret, but the most common parameters are the ones being highlighted, which can actually boost your website ranking over time. It is important that every site owner flee from artificial backlinks which can impact negative on your website ranking when eventually discovered. Stick to natural traffic by constantly uploading fresh, relevant and keyword optimized contents regularly to your website.